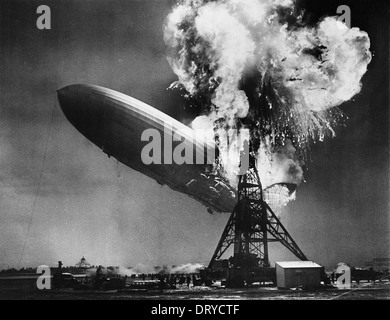 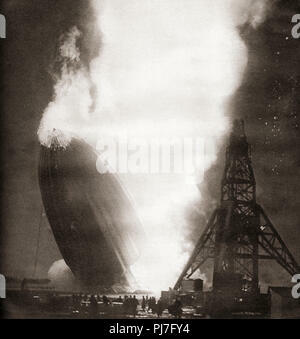 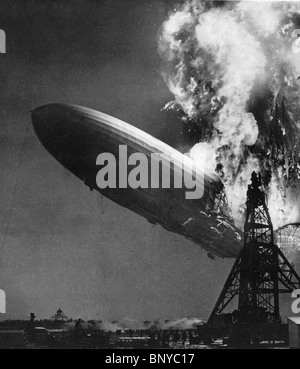 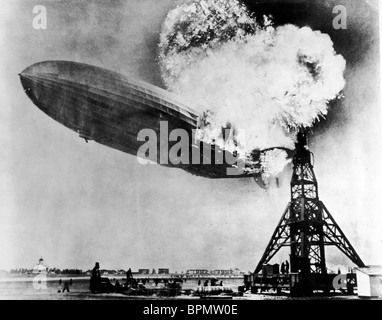 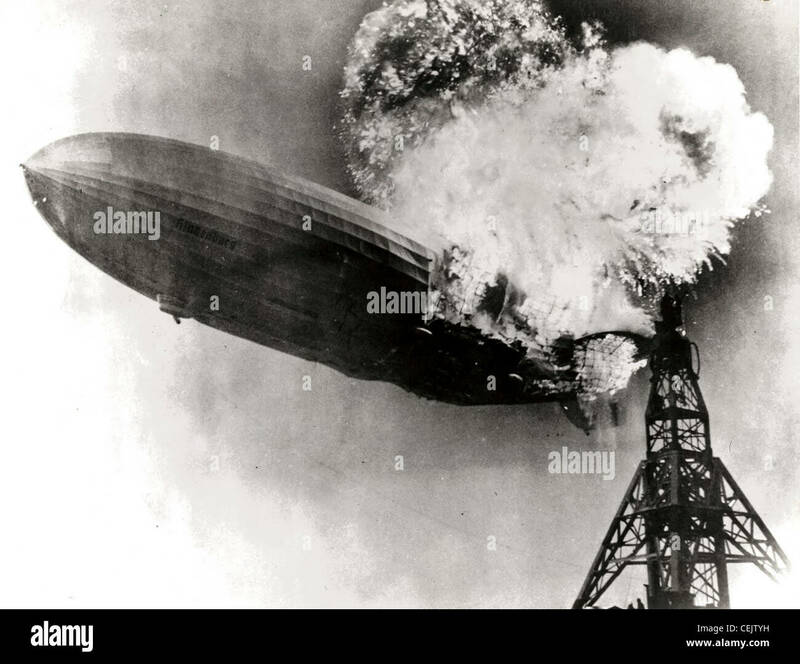 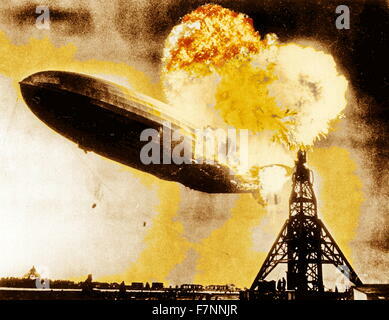 Hindenburg disaster took place on Thursday, May 6, 1937, as the German passenger airship LZ 129 Hindenburg caught fire and was destroyed during its attempt to dock with its mooring mast at the Lakehurst Naval Air Station, which is located adjacent to the borough of Lakehurst, New Jersey. 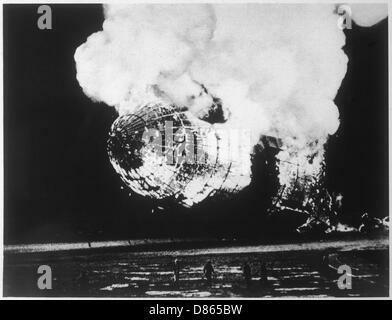 Of the 97 people on board (36 passengers, 61 crew), there were 35 fatalities as well as one death among the ground crew. 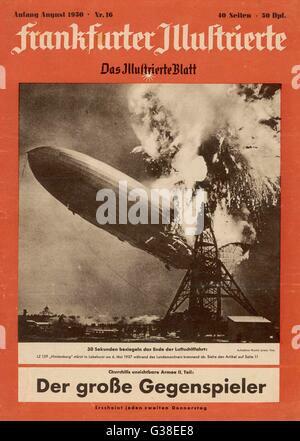 Il disastro Hindenburg. 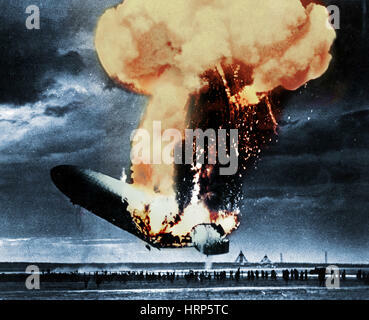 Il passeggero tedesco dirigibile preso fuoco durante il suo tentativo di dock con un montante di ormeggio a Naval Air Station Lakehurst risultante in 36 morti. 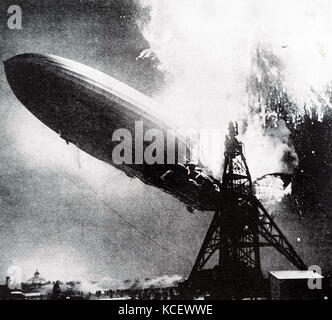 Il disastro Hindenburg, 6 maggio 1937. 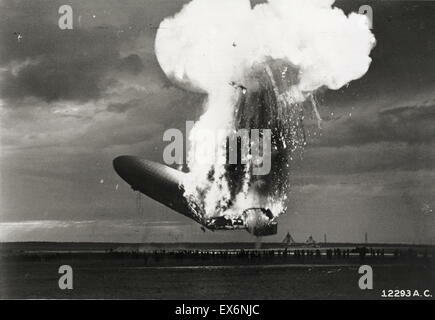 Il passeggero tedesco dirigibile LZ 129 Hindenburg preso fuoco e fu distrutta mentre tenta di dock con il suo montante di ormeggio presso la Naval Air Station Lakehurst, Manchester Township, New Jersey, Stati Uniti d'America. 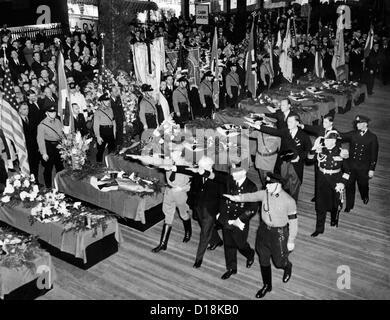 Da questi straordinari anni, pubblicato in 1938.